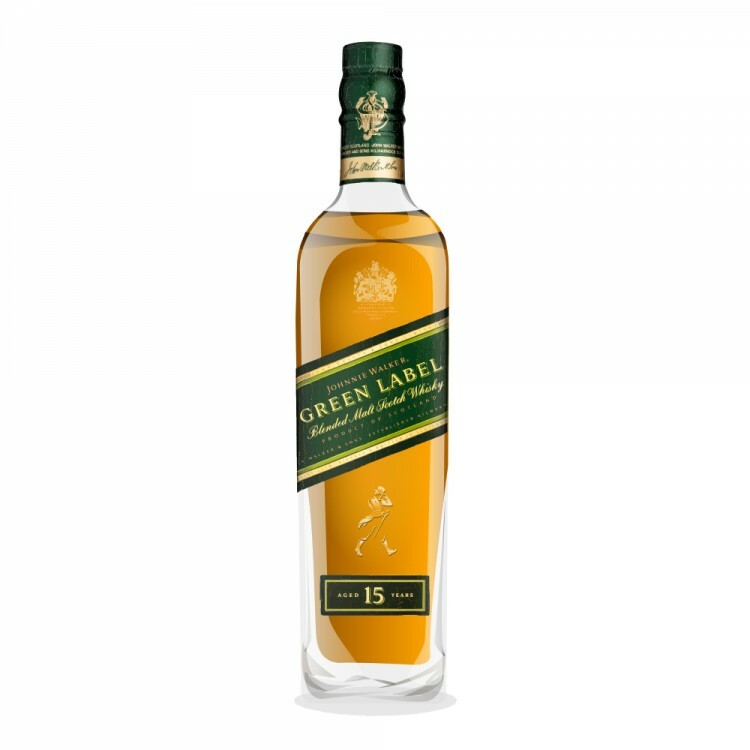 Back in the late '90s, one of my well-to-do friends gave me a taste of Johnnie Walker Blue Label. My whisky knowledge at the time was such that all I could offer was, "Gee, that's good...I guess." In truth, he could have poured me a dram of Cutty and I wouldn't have known the difference. Alas, this was my one and only experience with the Blue Label, so I can't speak to the merits of this controversial blend. Fast forward 15 years, and I now have a good familiarity with four of the five most familiar members of the J.W. family. (Haven't tried the Swing or the three new kids on the block -- Double Black, Gold Standard, and Platinum -- and the early reviews aren't piquing my interest.) My opinions are among the majority: the Red is a mediocre mixer, the Black is pretty decent, the Green is fabulous...and I'll share my thoughts on the Gold in a forthcoming review. Unless and until I'm offered another taste of the Blue Label, I can only say that this is the best Scotch in the J.W. lineup. It's the closest thing to a blend I've purchased since I discovered single malts -- and, because it's a blend of only four single malts, it works like a single malt for me. Sort of. Nose: More bittersweet than sweet. Honey, citrus, and dark chocolate with touches of peat and fresh-cut grass. Becomes softer as it opens up. Great nose overall. Arrival and Development: Smooth and "blendy." I usually try to distinguish between these two stages, but here's where the four-malt blend is just too vague for me to distinguish anything but a general malt-and-honey medley. Pleasant, though. Finish: Excellent layered finish: toasted marshmallows, roasted nuts, bitter citrus, all capped off with a quick booze-y sting. The title of this review is directed not only at whisky drinkers, but to the folks at Diageo as well. As most here probably know, J.W. Green will be discontinued next year, which is a shame. I understand the business of it all -- it's the least profitable of the J.W. lineup, after all -- but I'd gladly pay a bit more to keep this one around. (I wouldn't complain if this were a $100 Scotch, whereas I'd like the Gold better if it were a $60 Scotch.) Early reviews of the "replacement colors" in the lineup are not glowing, so I've stocked up on three bottles of the Green. Enjoy it while you can. Great review WhiskyBee! I Bought a 4 pack of 20 CLbottles called The Johnnie Walker Collection a couple of years ago at the duty free shop at Heathrow on my way back to the states. It consisted of Black, Green, Gold and Blue. The Balck is good, not great, but good. I was not impressed with the Gold and the Blue was disappointing, While the Blue was good, the finish was non-existent and I just couldn't justify the cost of this one. However, the Green was excellent. Like WhiskyBee mentioned, I like the fact that it is only 4 distilleries in the blend and we know which ones. I find it to be a very drinkable dram for the price. Nice finish and every time I drink it, I am surprised at the level of smoke. Not in your face, like an over-the-top Isly, but it's there, especially in the finish. I have since owned a full sized bottle of the Green and reading this review makes me think it is time for another bottle. Diageo is making a huge mistake by discontinuing this one. 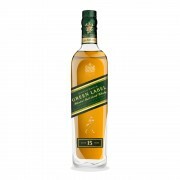 It's the best Johnnie Walker in my opinion.